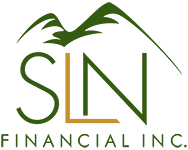 4 Signs You Aren’t Saving Enough Money | SLN Financial, Inc.
Did you know that 65% of Americans end up saving little or nothing at all? And only 39% can cover a $1,000 emergency. This begs the question, are you saving enough money? Here’s four signs that you need to be saving more. You don’t have a savings goal. If you don’t know where you’re going, how are you supposed to get there? Having a true, written-out savings goal allows you to start setting aside a certain amount every week or month to start building towards your future goals. You don’t have an emergency fund. When disaster strikes, are you prepared? If you have a medical emergency, lose your job, or your car breaks down, your personal “safety net” should be there for you. If you don’t have an emergency fund, start one right away and work towards getting $1,000 in it as quickly as possible. You’ll be thankful you did. You have no idea how much you spend. Do you know where all your money goes each month? Keeping track of all your expenditures; from gas to Amazon Prime, and groceries to Starbucks, is vital. If you know what’s going out, you can probably find ways to cut back. Do you have a savings plan? Do you feel like you could be saving more? We can help you get on your way to more financial freedom. Feel free to call us and we can help in making the right choice for your situation.